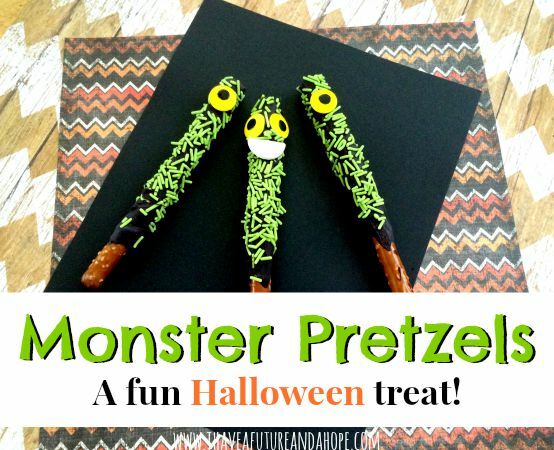 Are you looking for a super fun, kid friendly, and yummy Halloween treat? These Monster Pretzels will be perfect for any party you may have, or one you are invited to. Your kids will love putting these pretzels together with you. They are a simple Halloween party favor , fun to make, and easy on the budget! This recipe is as simple as getting all of your ingredients and having fun! 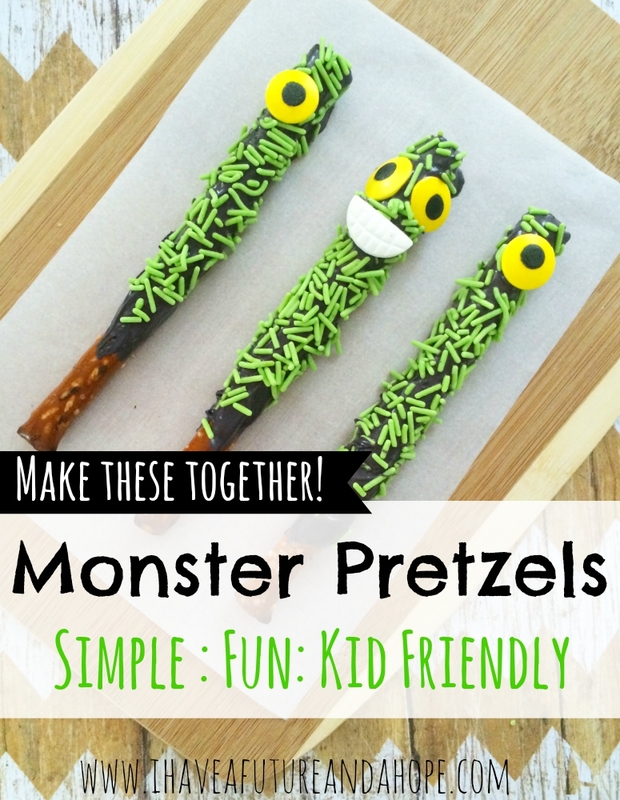 Fun Monster Pretzels perfect for any Fall or Halloween party!